Bids invited for new community funding – get your thinking caps on! Here’s something intriguing to think about in the New Year! Perth & Kinross Council has opened up something it calls the Participatory Budgeting process. 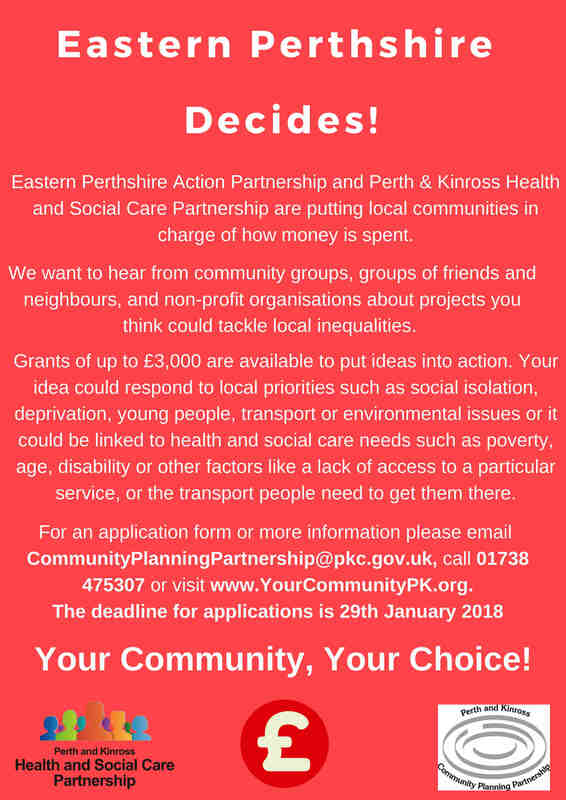 There’s £20,000 on offer for community projects in the Blairgowrie and the Glens Ward in the Eastern Perthshire Partnership Action area (there’s a similar amount available in the other two wards in the area). · take place before end March 2019. Residents in each Council Ward will be invited to vote on projects for their local area. You can vote online (details to be sent out later) or in person in Coupar Angus Town Hall on Saturday 24th February. 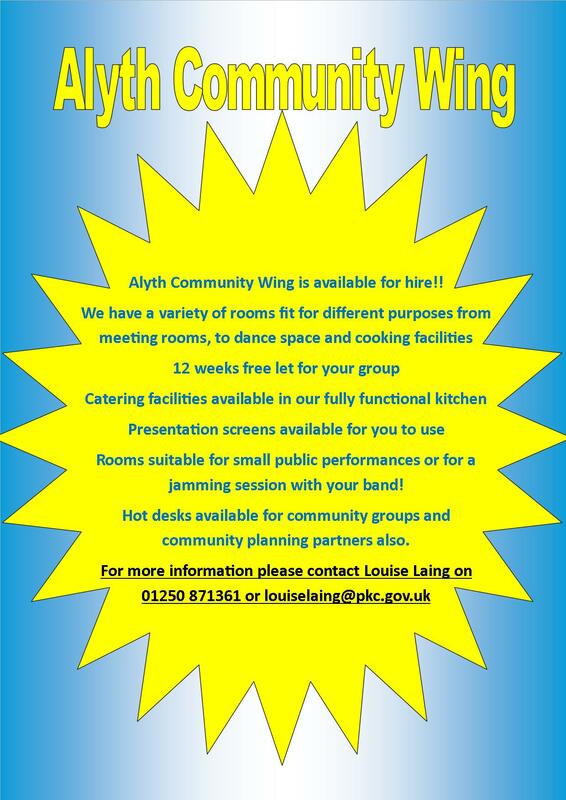 PKC are holding a couple of information sessions…on Tuesday 16th January in Rattray Community Connect from 1pm – 3.30pm, and on the same day in Alyth Community Wing from 4.30pm – 7.30pm to which you are invited to drop in for information, advice etc. Further sessions to be arranged in the New Year. Perth & Kinross Council are consulting communities across the region on their proposed framework for guiding local development for the next 10 years. 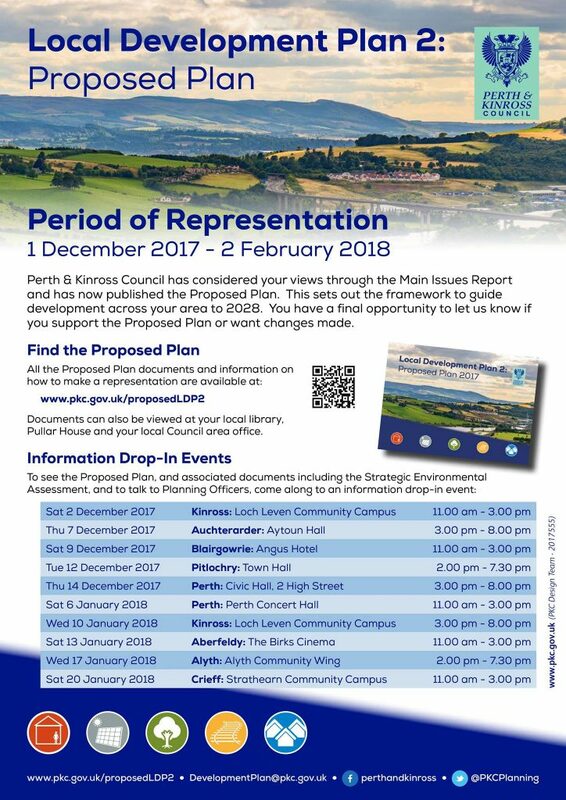 Alyth residents will get their chance to comment on Wednesday 17 January 2018 when the PKC team will be running an Information Drop-In event in the Primary School Community Wing from 2.00pm until 7.30pm.